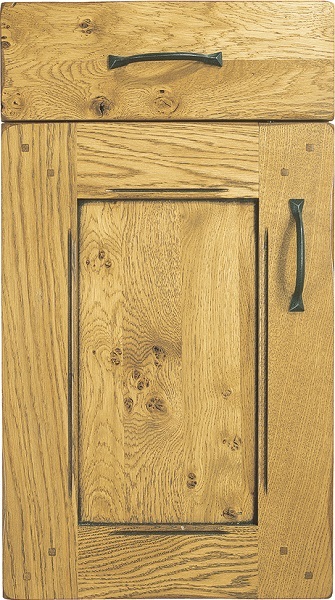 Door Construction: 90mm Solid European Oak frame with groove on inside, dubbed corners, pegs and lightly distressed. 8mm flat Character Oak solid centre panel. Solid Character Oak drawer fronts with dubbed corners and lightly distressed. Glass Door: Available in 4mm toughened grey antisun glass.